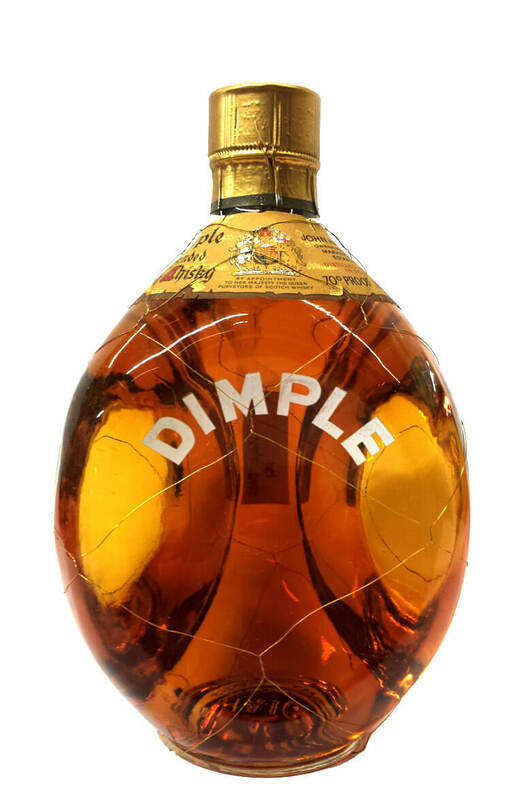 This is a very interesting bottle of Haig Dimple that most likely dates from the 1960s. There are no metric measurements of volume, it does state the volume at 26 2/3 Fl Ozs and the alcohol content as 70 proof. The bottle bears the royal appointment seal of Queen Elizabeth and comes in its original triangular shape gift box which is gold, black and red in colour.